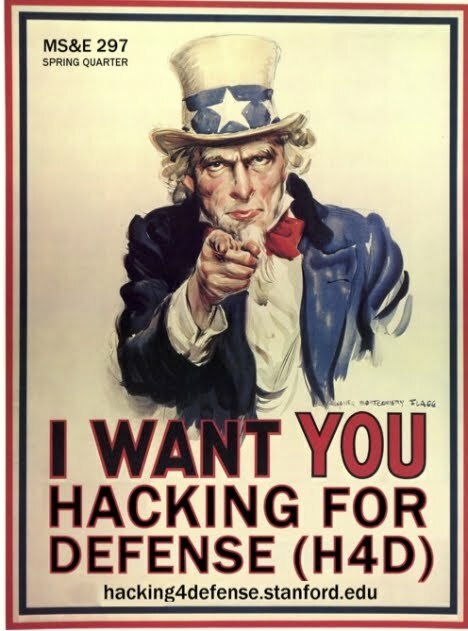 Stanford University is now offering a class called, "Hacking for Defense" (Stanford Management Science and Engineering 297). You can see a video all about the class by clicking this link. Here's a "flow chart," showing how students in the course will engage in a seven-step program to turn themselves into "entrepreneurs," presumably the kind of "entrepreneurs" who get ahead on military contracts. Just to be clear, the "Defense Department" is the agency of our federal government that delivers the bombs and bullets that are killing women and children throughout the countries of the Middle East, and elsewhere in the world, as well. That's what we call "Defense," nowadays. I think my mother was right, when she decried the false labeling being used to make us all feel better about what our nation is doing. 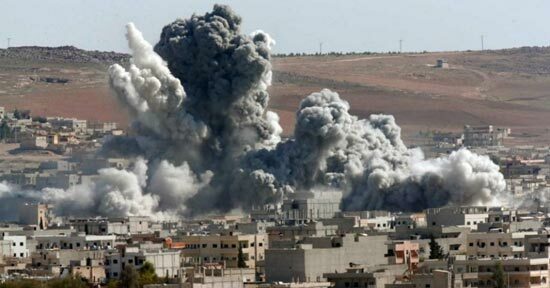 What used to be the "War Department" is now the "Defense Department," and the "Defense Department," without the benefit of any declaration of war from our elected representatives, is out and about, on a daily basis, delivering death and destruction in your name and mine. Going to "war" might take a vote, but why should you have to get a vote to "defend" yourself? American warplanes bombed a seaside town in Libya in February 2016.